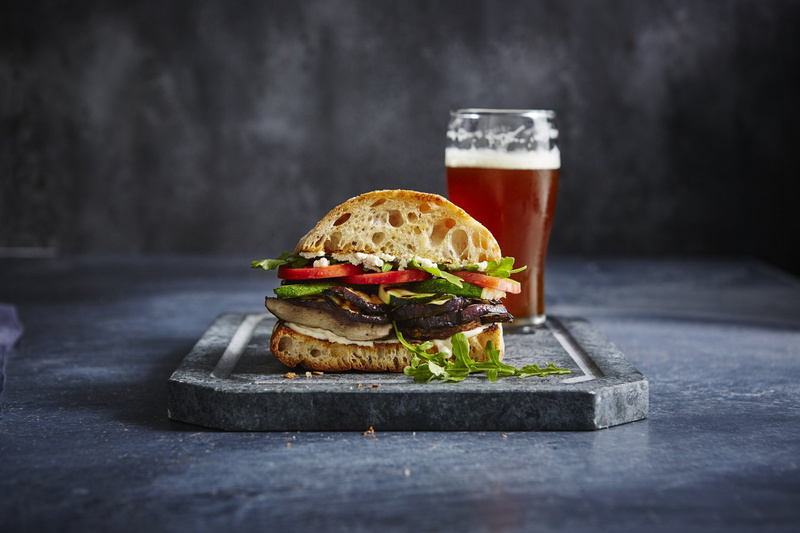 Sunset reader Rebecca Jansen of Snohomish, Washington, won us over with this Mediterranean-inspired vegetable sandwich that cooks entirely on the grill. Heat a grill to high (450° to 550°). Meanwhile, mix mayonnaise, garlic, and lemon juice together; set aside. Brush zucchini, mushrooms, and eggplant with oil and sprinkle with salt. Grill, turning once, until softened and grill marks appear, about 3 minutes. Grill bread cut side down just until grill marks start to appear, 2 minutes. Cut each loaf-half into 4 pieces. Spread bottoms with mayo and smear tops with cheese. Make sandwiches with vegetables, tomatoes, and arugula.